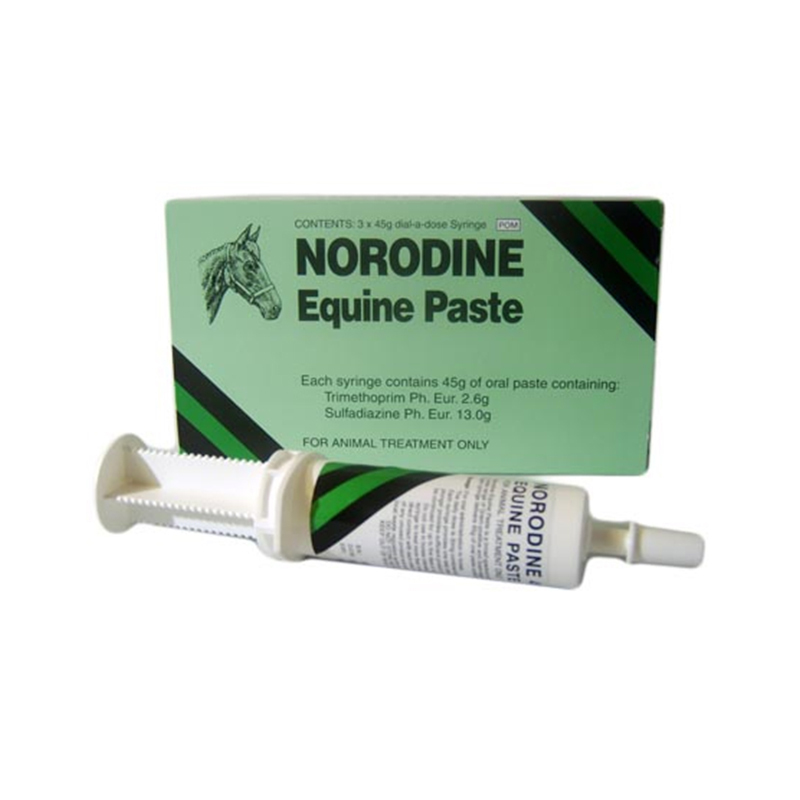 Norodine Equine Oral Paste is a broad spectrum oral antibiotic, that comes in a syringe to be given either directly into the mouth or added to feed. Three syringes are included in each pack. It contains Trimethoprim Sulfadiazine (TMPS). It can be effective at treating a number of conditions, such as: Respiratory tract infections eg strangles, pneumonia, pleurisy. It is supplied in packs of 3 syringes. One syringe provides one day's treatment for a 500kg horse. Warnings & Contraindications- Do not give to horses known to be allergic to sulphonamides or who have cardiac arrhythmias or serious liver dysfunction). 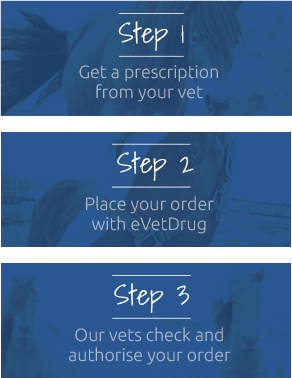 Do not treat more than one horse with the same syringe unless they are already in direct contact with each other. Wear gloves when handling this product. If you are allergic to sulphonamides, do not handle this product.